Extra Time in Your Pocket! Be properly outfitted with this fine timepiece. 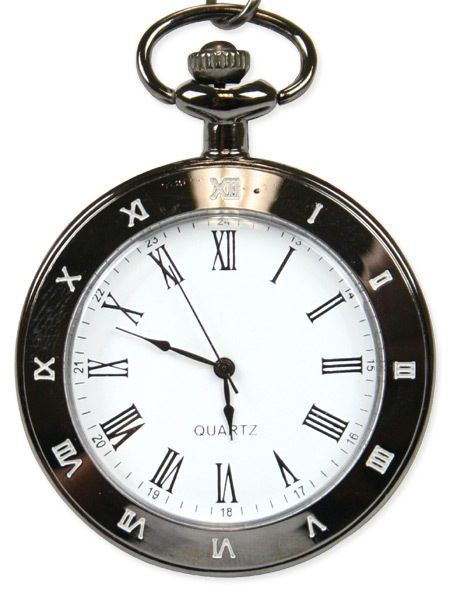 No gentleman would leave the home without a quality watch and chain in his vest pocket. 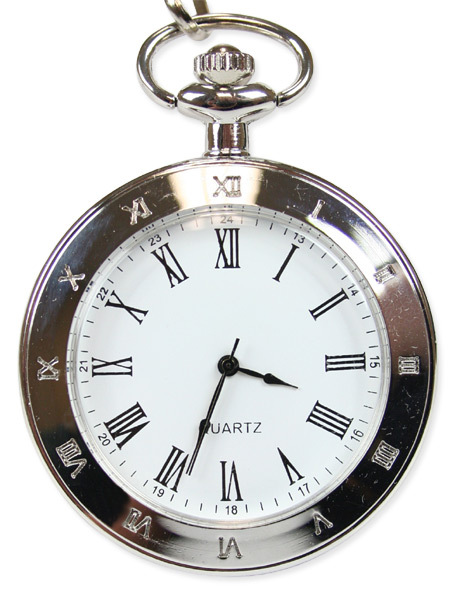 Keep track of time down right down to the last second thanks to fine quartz movement – no worries about when to wind. 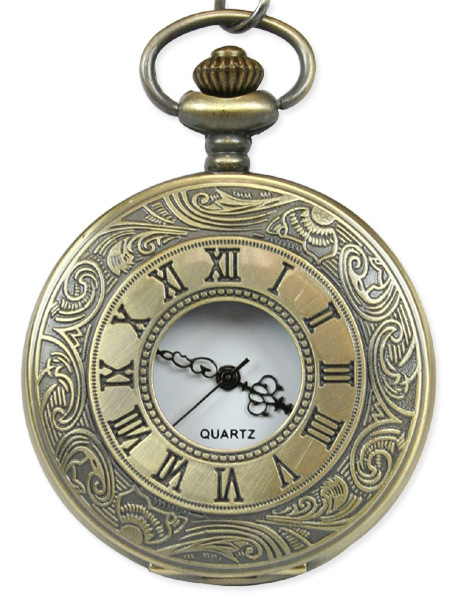 Progress waits for no man, but you'll be on schedule with this terrific men's pocket watch and chain. 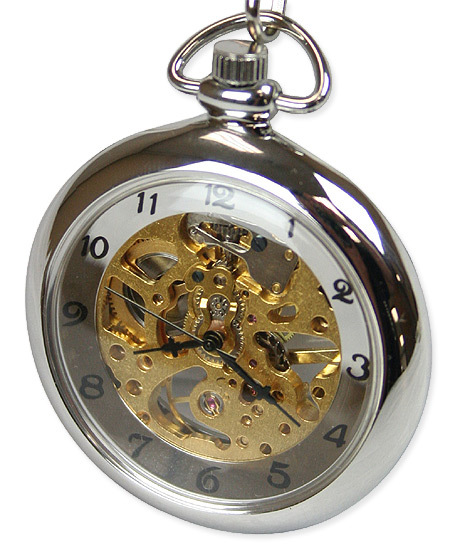 Follows time to the hour, minute and second via wind-up 17-jewel mechanical movement. 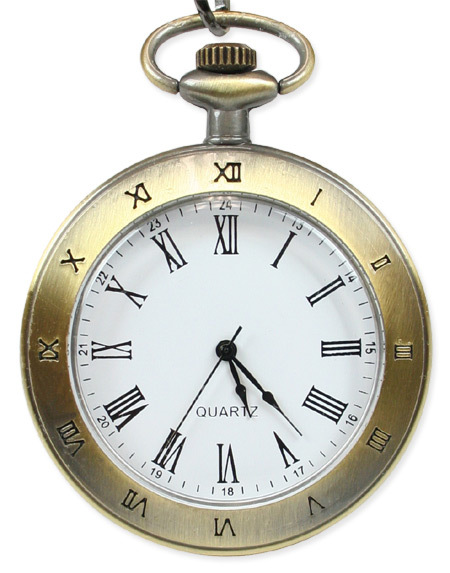 Progress waits for no man, but you'll be on schedule with this terrific men's pocket watch and chain. 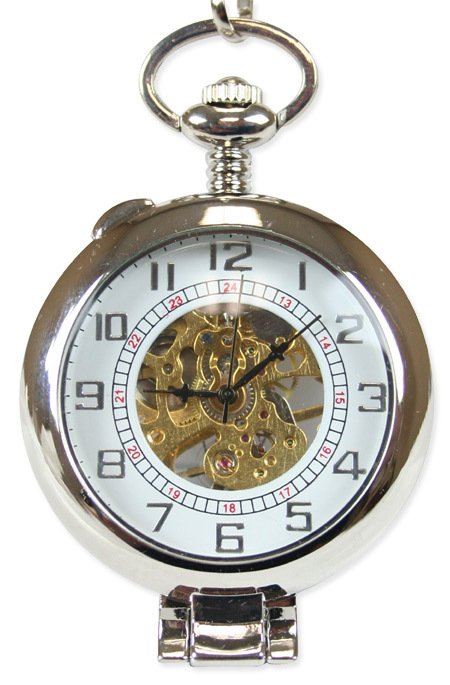 Keep your time well in hand with this pocket watch. 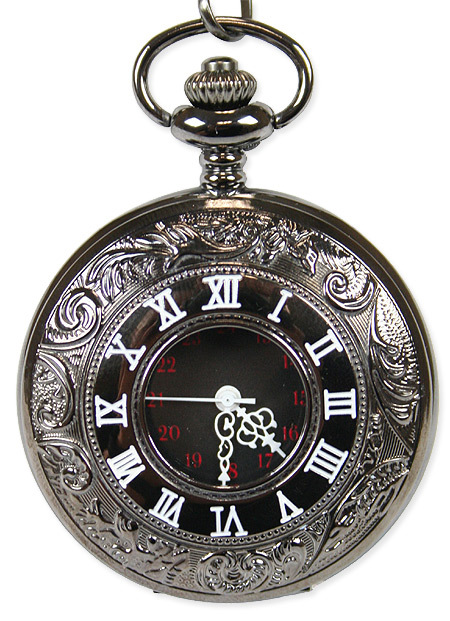 They say, “Time flies when you’re having fun!” Take along one of our new Pocket Watches to be sure you are not late, no matter how magnificent the merrymaking.